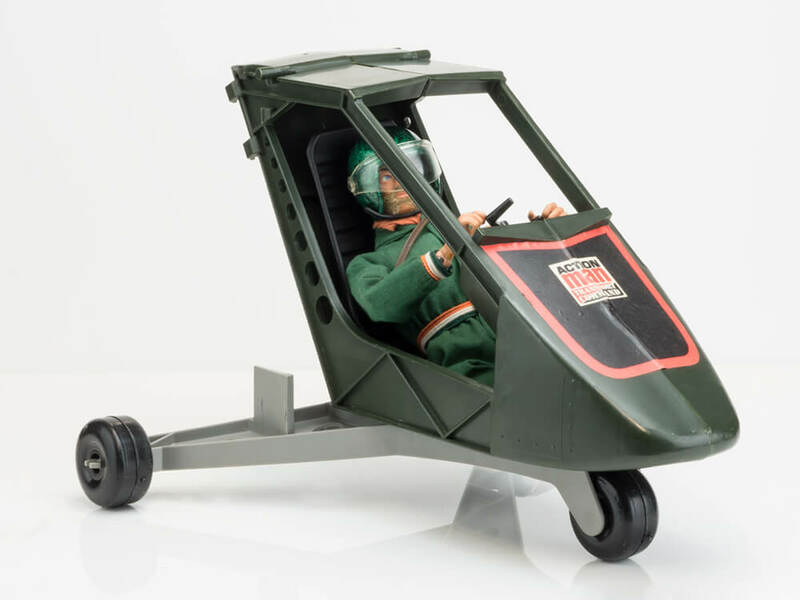 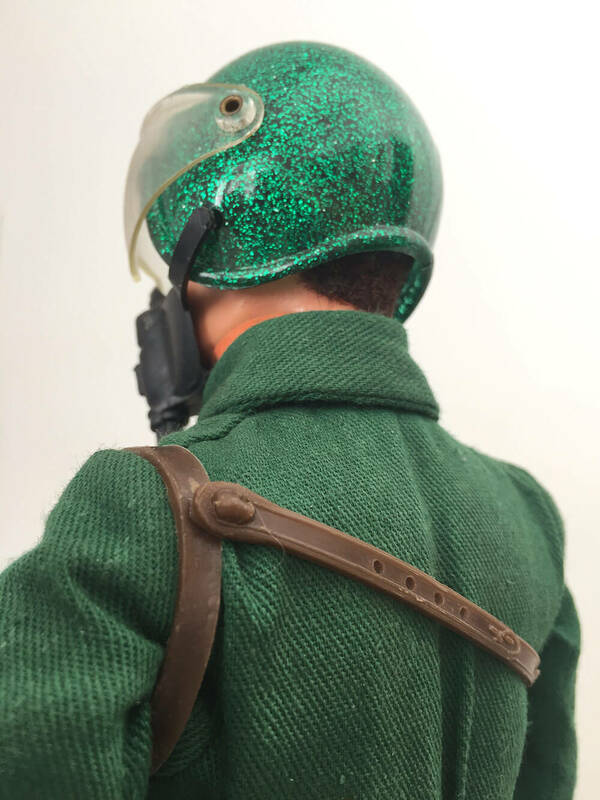 The Action Man Pursuit Craft Pilot dates from 1977 and appears for the first time in the 1978 Action Man Equipment Manual. 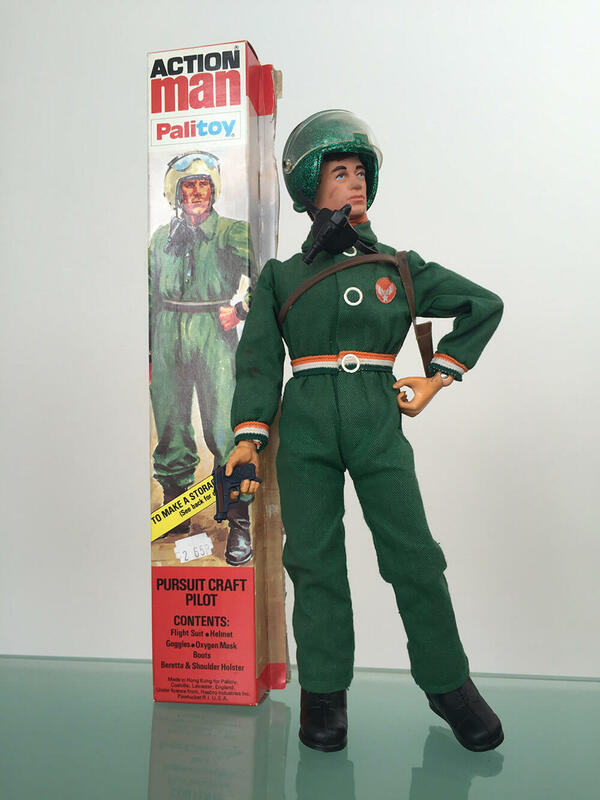 He is the pilot intended for the separately available Action Man Pursuit Craft of the same period. 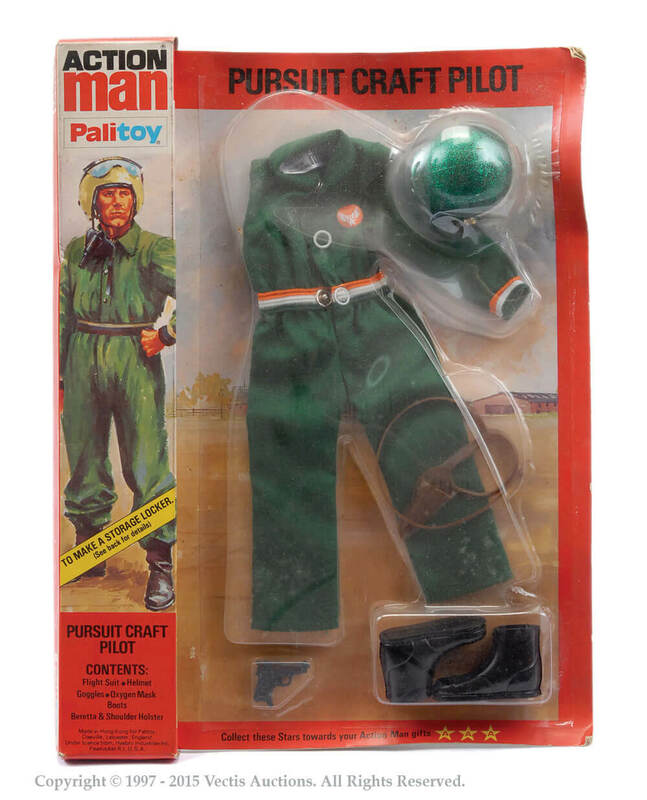 The Pursuit Craft is in the last Equipment Manual of 1981, and it has to be assumed the Action Man Pursuit Craft Pilot outfit would have also been available to the end of production in 1983 too. 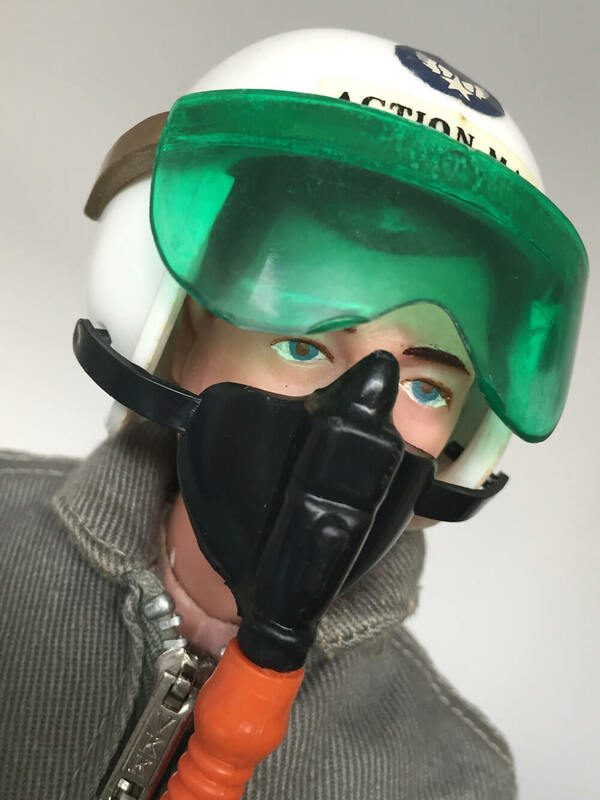 ACTION MAN PURSUIT CRAFT PILOT: Flight suit, shoulder holster, Beretta pistol, helmet (with goggles), boots, Equipment Manual. 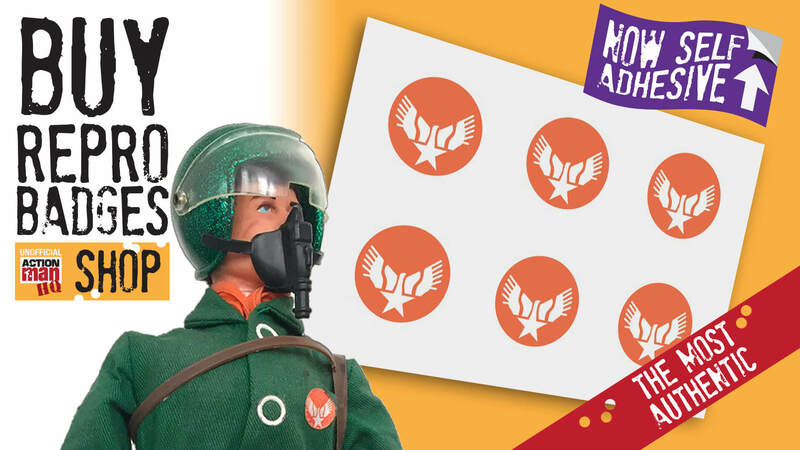 The Action Man Pursuit Craft Pilot uniform has an all in one flight suit with silk printed roundel badge. 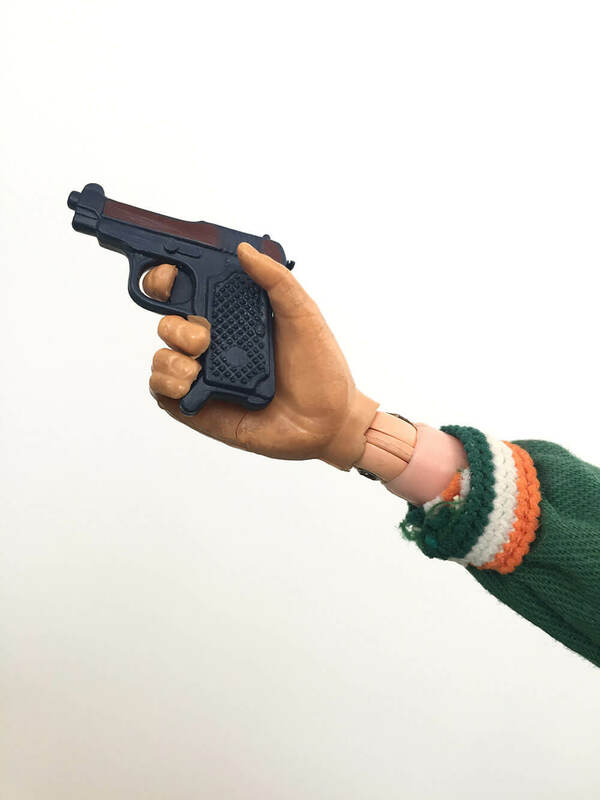 His Beretta pistol should have a wooden paintwork on its surface (ones without were available on equipment cards). 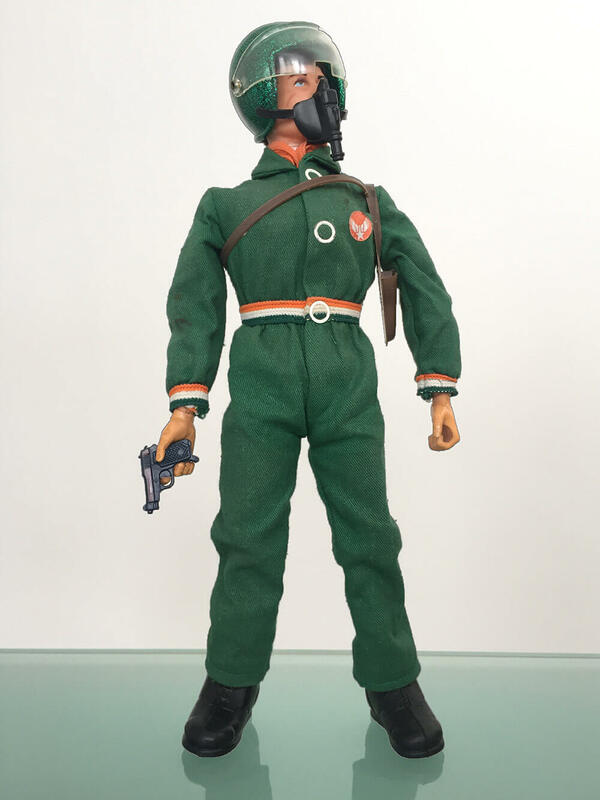 His shoulder holster is the type that came with the French Resistance Fighter (prone to break at its connection). 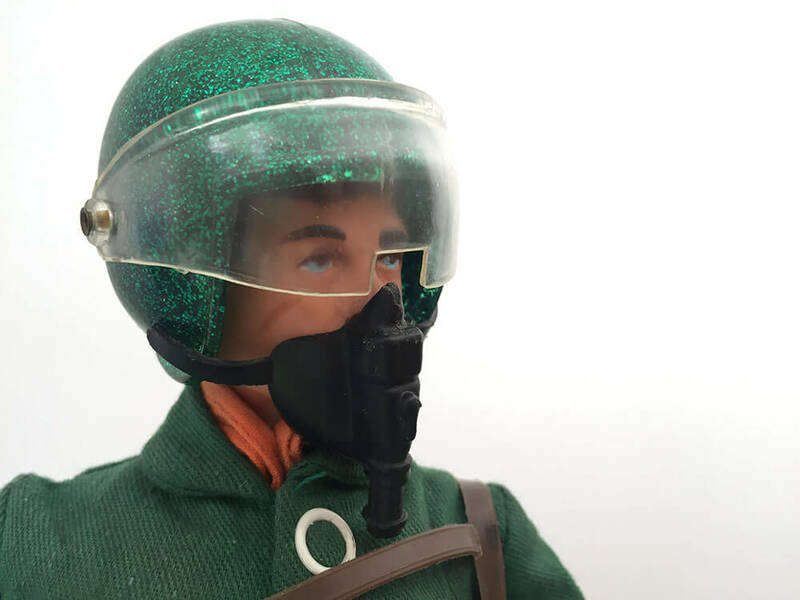 The helmets changed and green metallic, plain green and white (later Scramble Pilot type) versions all made an appearance, with oxygen mask, or with strap alone. 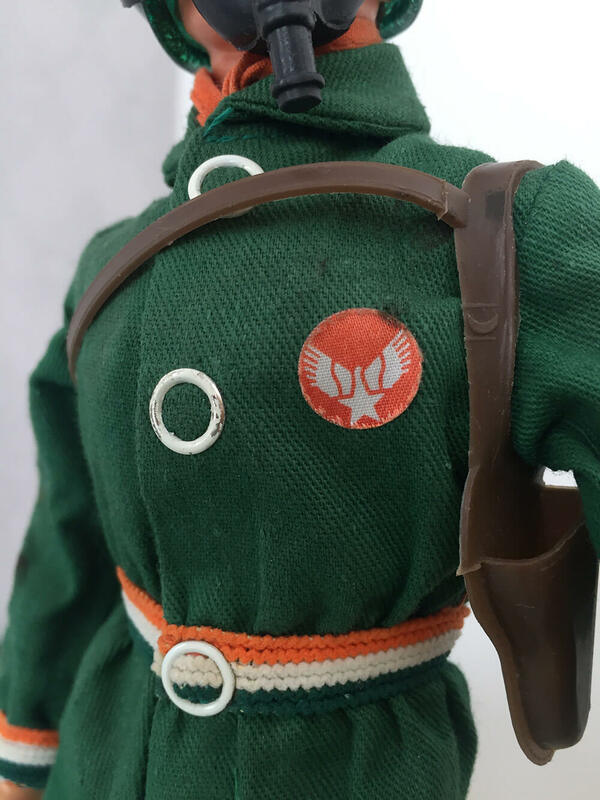 An orange scarf is sometimes pictured with this set but was not part of the official contents. 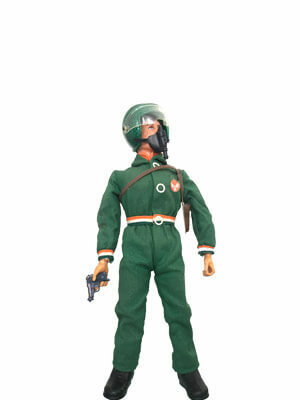 The 'current Action Man figure in 1978 was an Eagle Eye dynamic body. 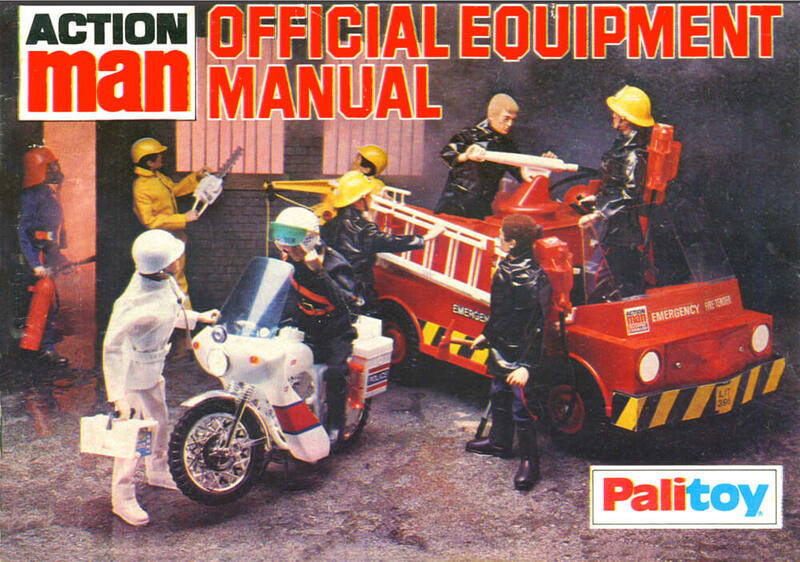 The product shown in the images was £2.65 in 1978.